How can a humorist be a “lady” from hell? Ted Shane wrote books and magazine articles, and created the “Cockeyed Crosswords” that were popular from the 1930s to the 1960s and appeared in various magazines. But before he became a humorist and writer, he went to Canada to enlist in the Black Watch, the famous kilted Scots division called the “Ladies from Hell.” Only 16 when he joined, he fought in World War I with the division. Theodore Sidney Shane was born in New York City in 1900. 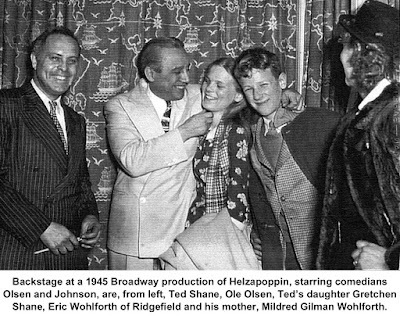 His father was a tailor who had immigrated from Hungary in the 1880s and his mother was the daughter of German immigrants. After the war, Shane studied at Columbia, graduating in 1923, and began writing book and movie reviews and humor pieces for magazines that included the old Liberty, where his humorous crosswords also appeared. 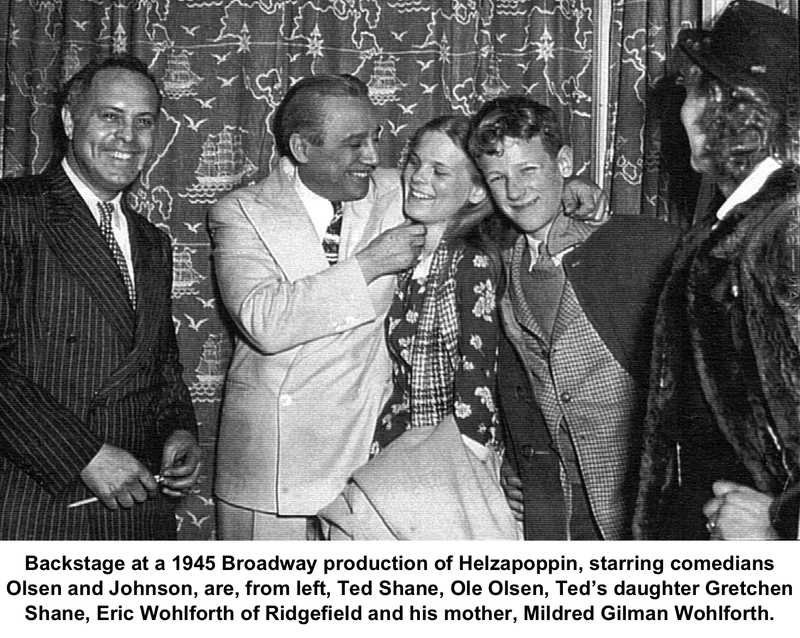 He came to Ridgefield in 1930 when he married Margaret Woodward Smith Boyd, also a writer, and lived here off and on until his death — he and Peggy Boyd also spent three years in Hollywood writing for MGM and 12 years in Europe. He wrote profiles, particularly of sports figures, for Collier's, Saturday Evening Post, Reader’s Digest, and other magazines, and worked as editor of 1,000 Jokes magazine. He published several books of crossword collections as well as “Heroes of the Pacific” (1944) and, though he did not drink, the light-hearted and popular “Bar Guide” (1950), illustrated by VIP (Virgil Partch). experiences on Thomas’s famous softball team, The Nine Old Men. The Nine Old Men played in Ridgefield and in other places for benefit games in the late 1930s and early 1940s. 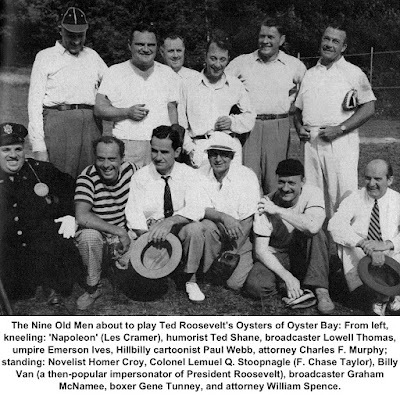 The team included the likes of heavyweight champion boxer Gene Tunney, humorist Colonel Lemuel Q. Stoopnagle (F. Chase Taylor), cartoonist Paul Webb and Novelist Homer Croy. 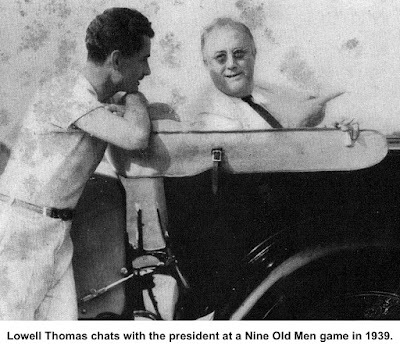 Ruth — Shane wrote: “A .100 softball hitter, Ruth has made only one homer — off Broun, one of the softest softball pitchers in the game.” Among the people who came to watch the Old Men play was President Franklin D. Roosevelt, a friend of Thomas. In 1946, Shane tested the local political waters, running unsuccessfully for state senator from Ridgefield’s district. He was a Democrat in a very Republican district and lost mightily. Ted Shane died in Ridgefield in 1967 at the age of 66. In 1951 his daughter, Gretchen Shane, married Egbert W. Swackhamer (1927-1994) at Shane home in Ridgefield. Swackhamer later became a television director who did episodes for M*A*S*H, L.A. Law, Murder She Wrote, Bewitched, The Partridge Family, and The Flying Nun. He specialized in directing pilot shows for TV; of his 27 pilots, 18 became series, including Law & Order, Eight Is Enough, Quincy, M.E., S.W.A.T, and Nancy Drew.